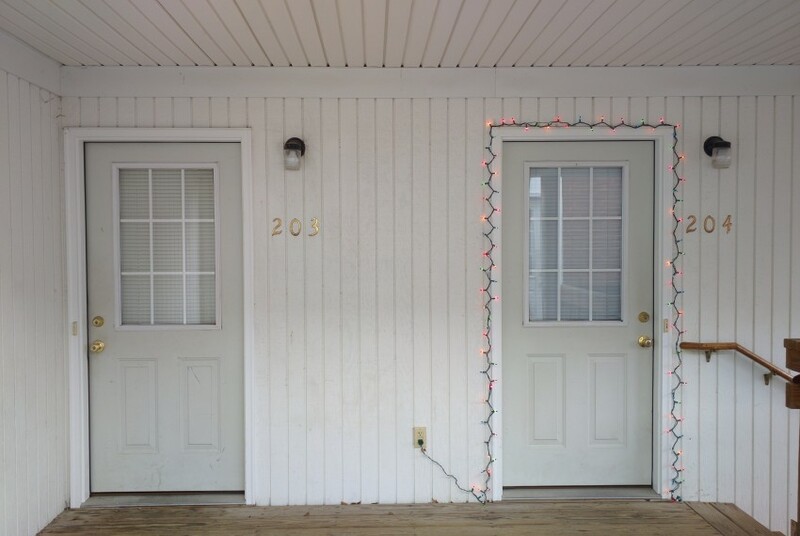 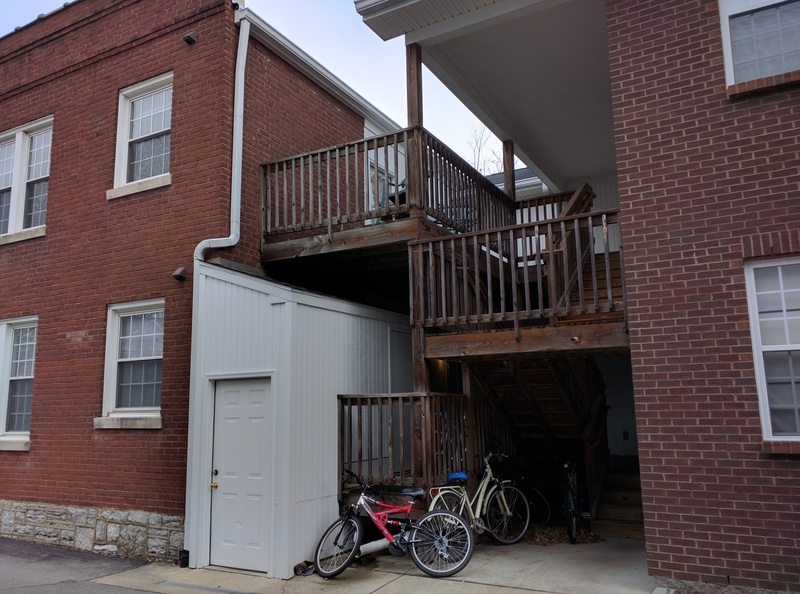 This 2nd floor apt. 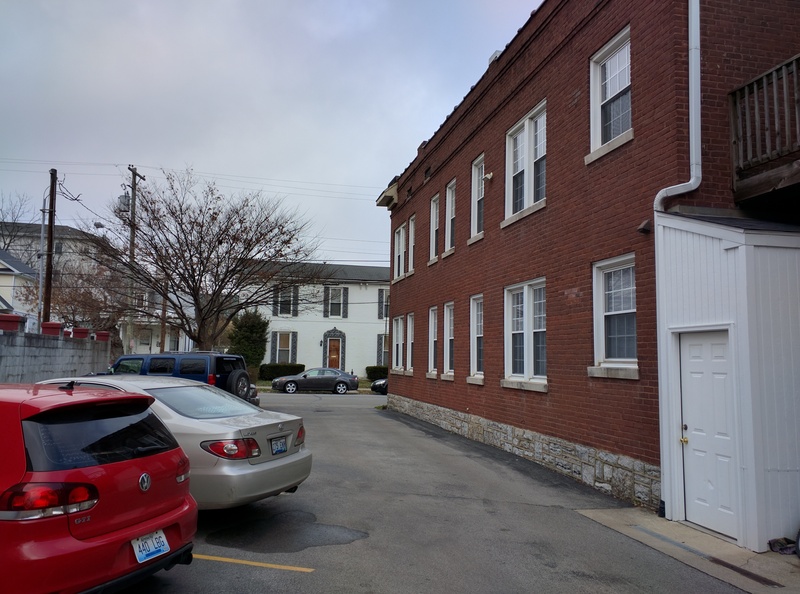 is located in the new building toward the rear of the property. 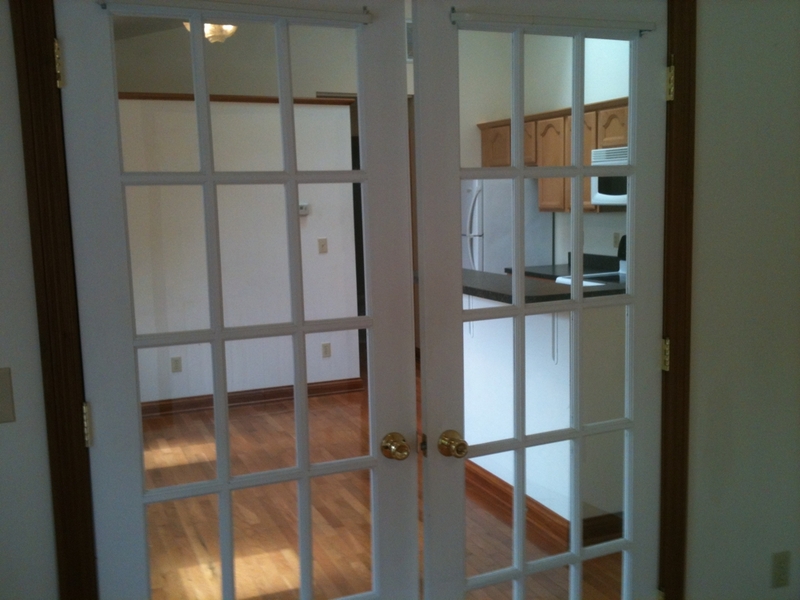 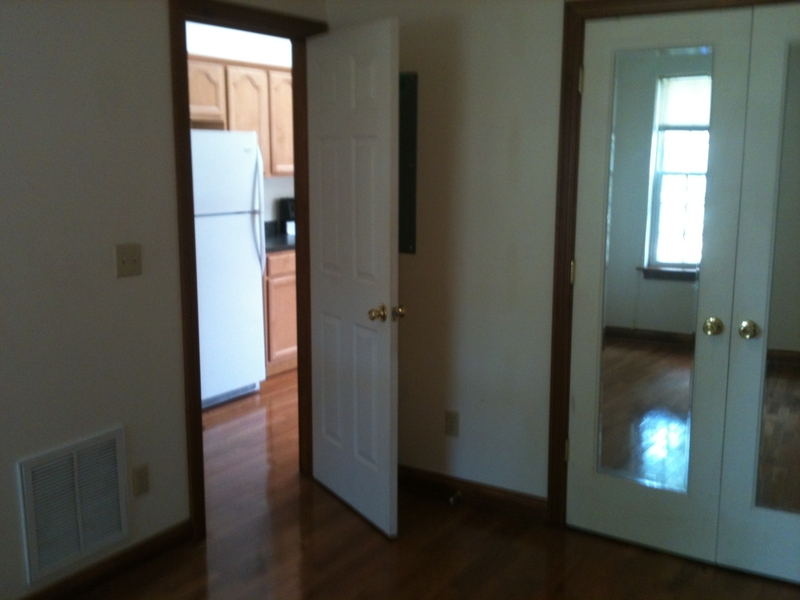 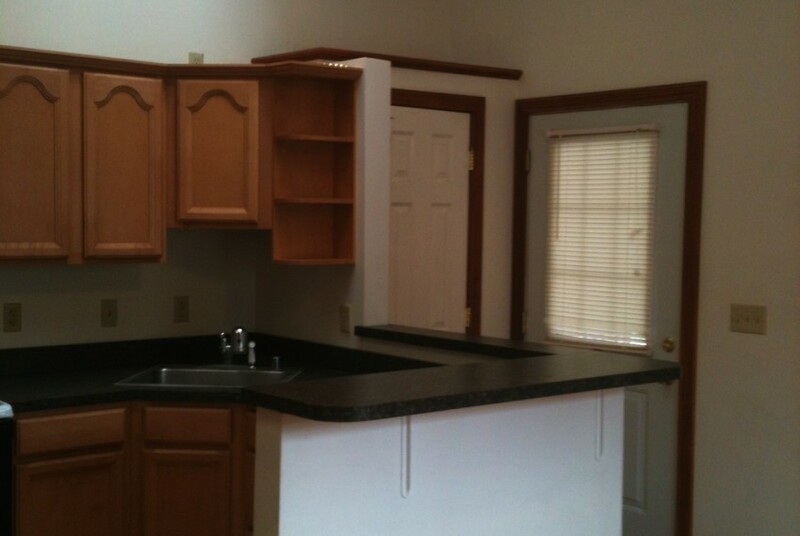 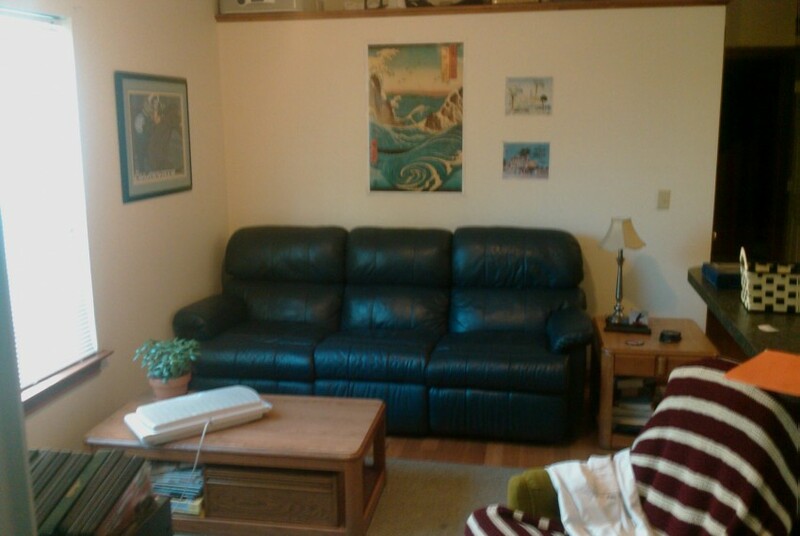 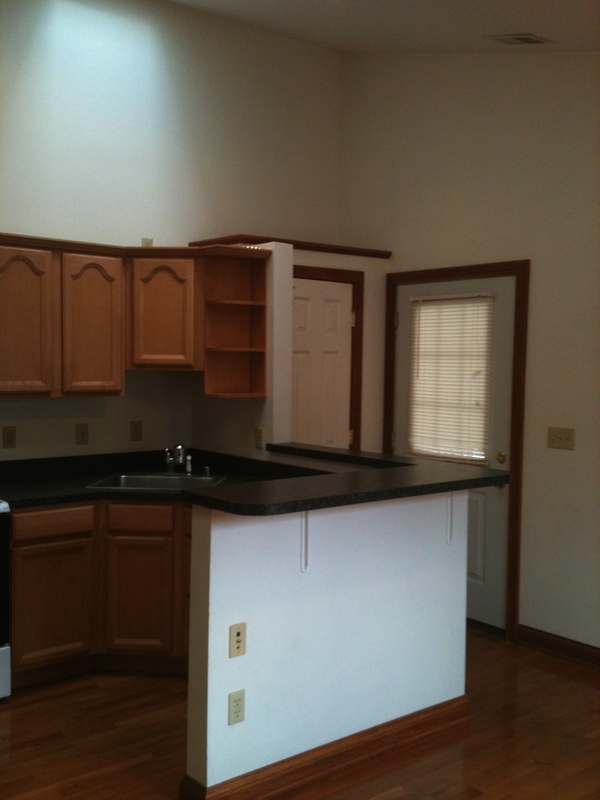 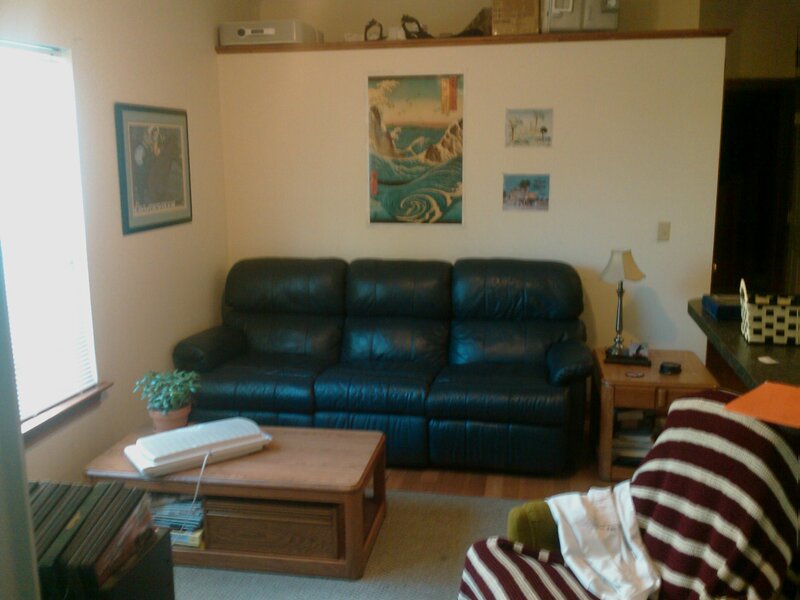 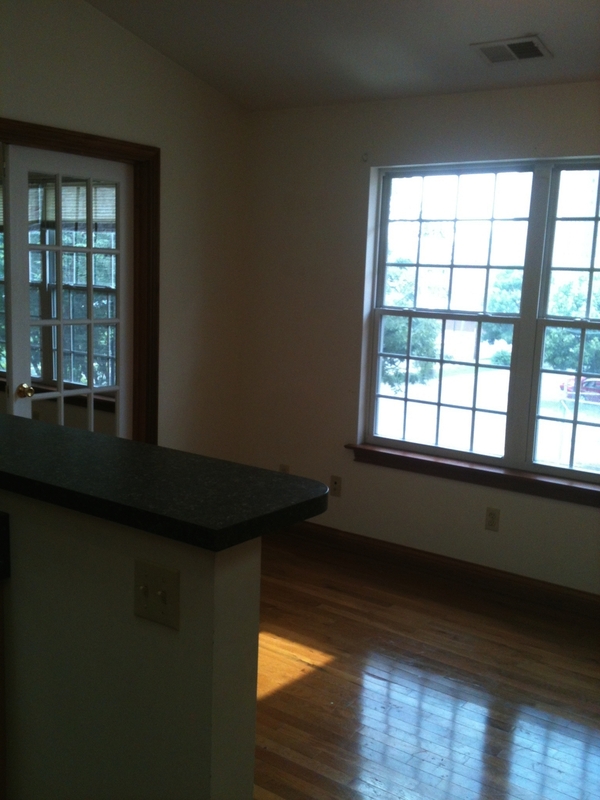 Everything brand new in 2005 with maple kitchen cabinets & bar counter facing the living area. 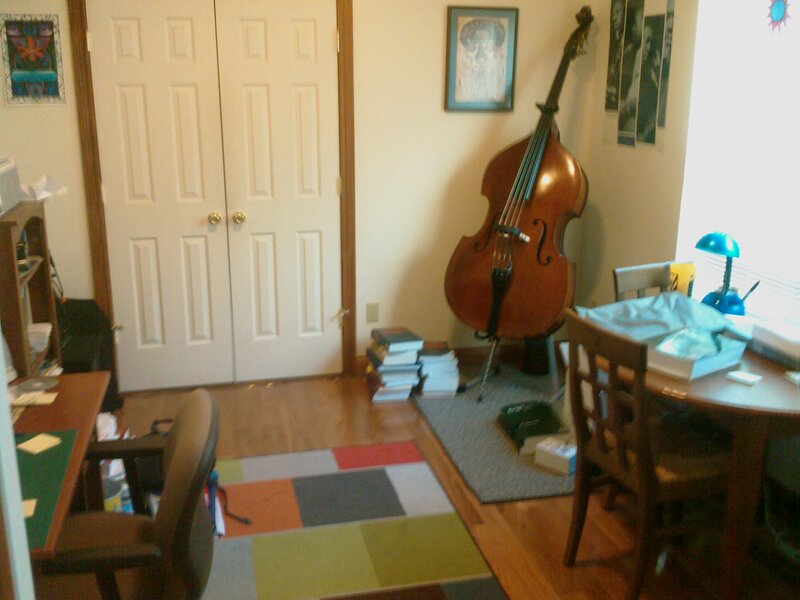 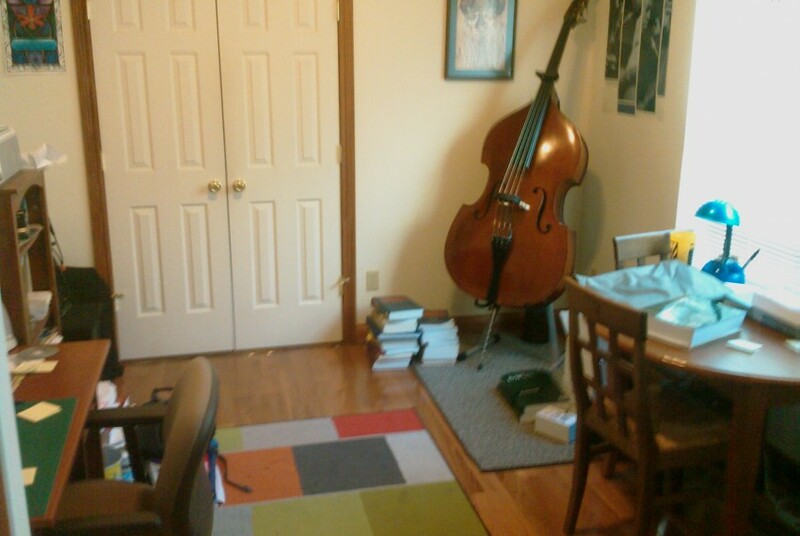 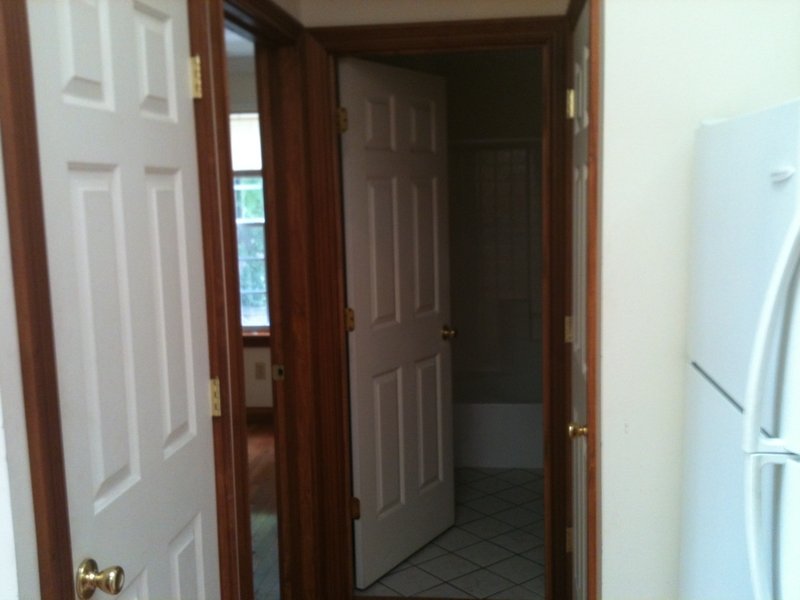 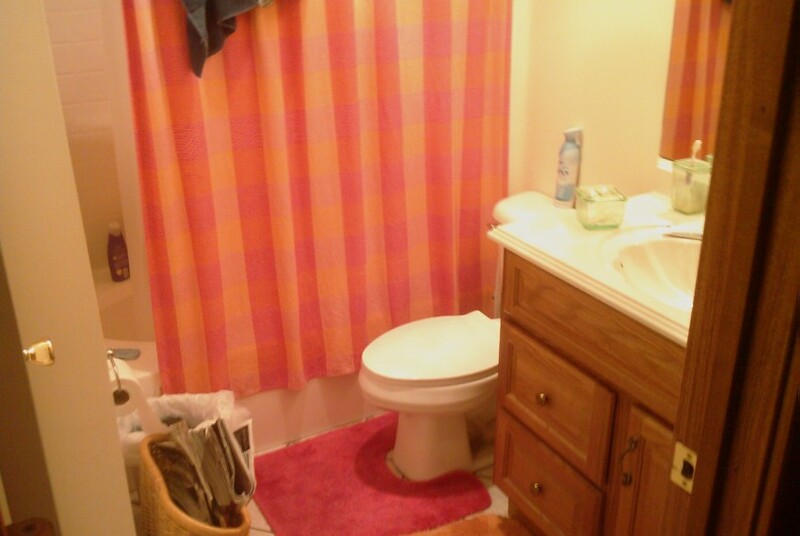 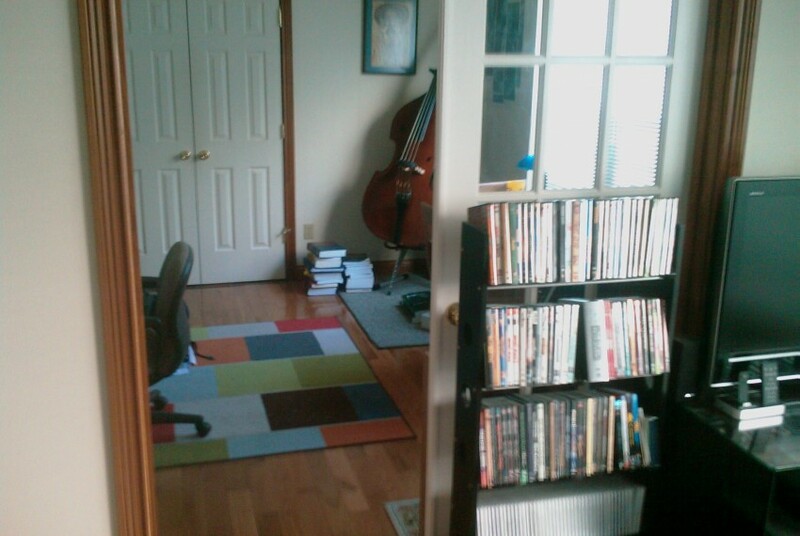 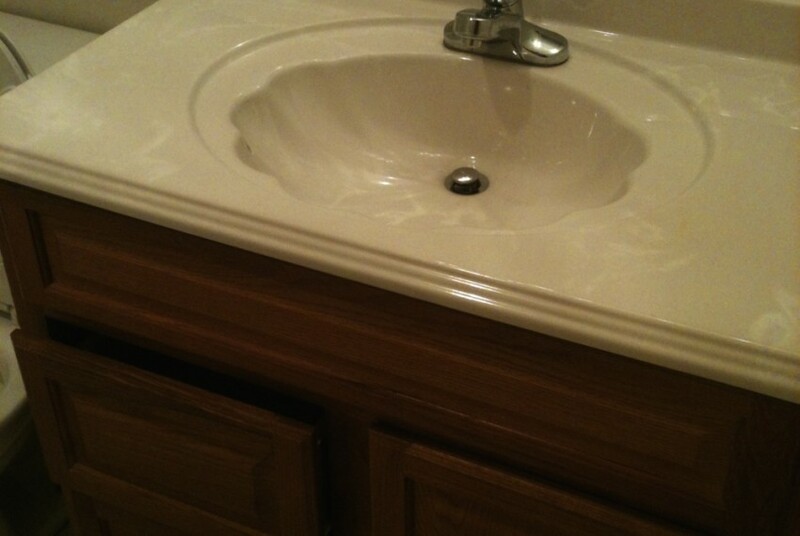 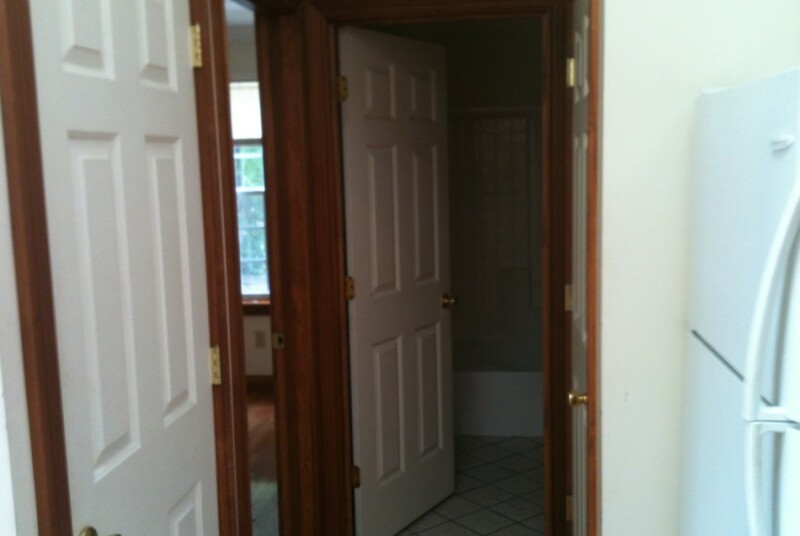 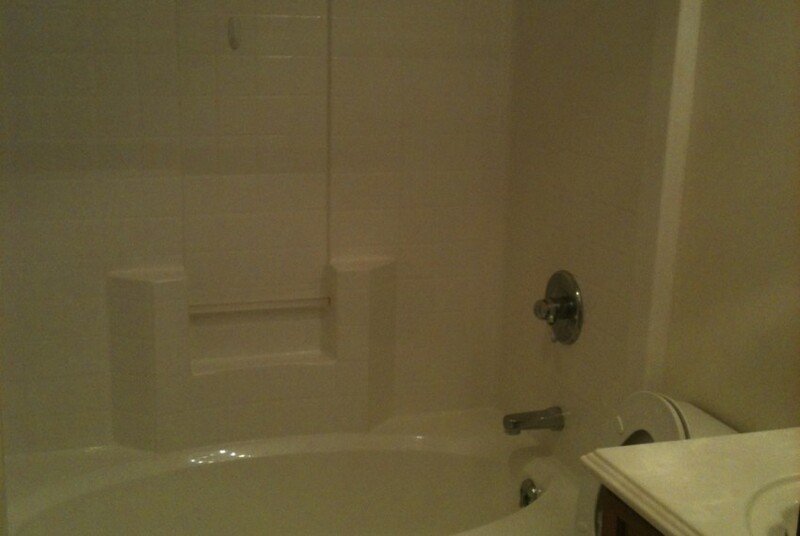 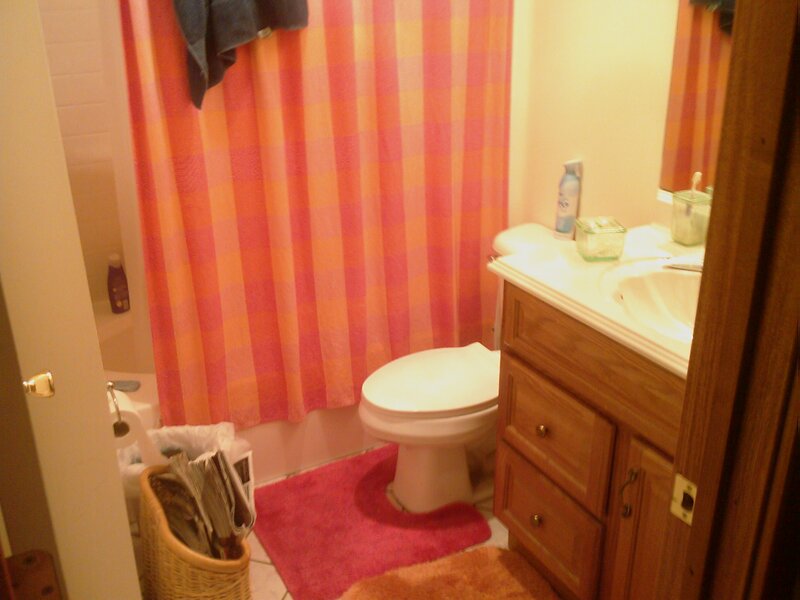 It has beautiful solid oak wood floors, and ceramic tile in the bathroom. 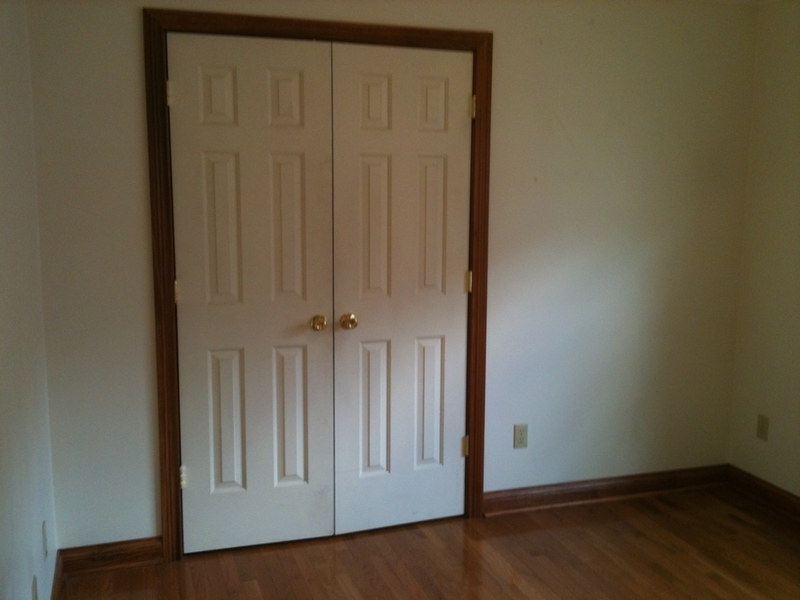 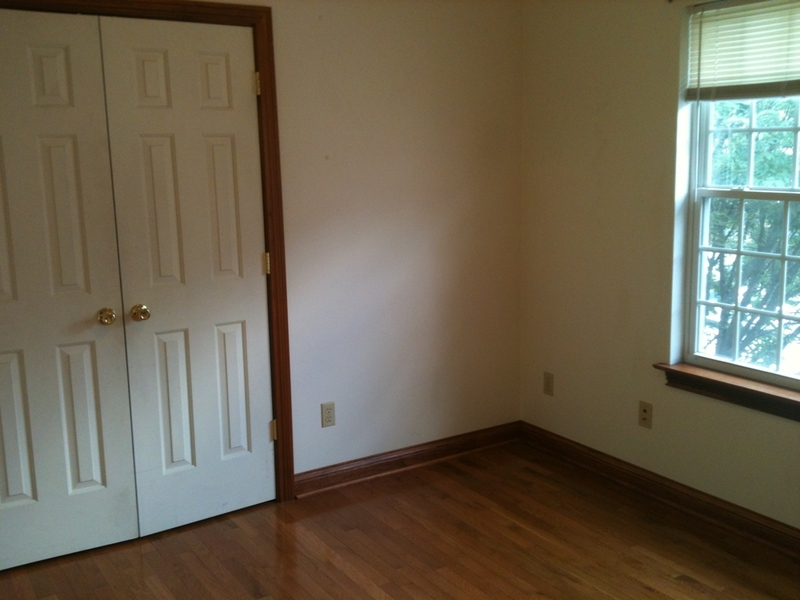 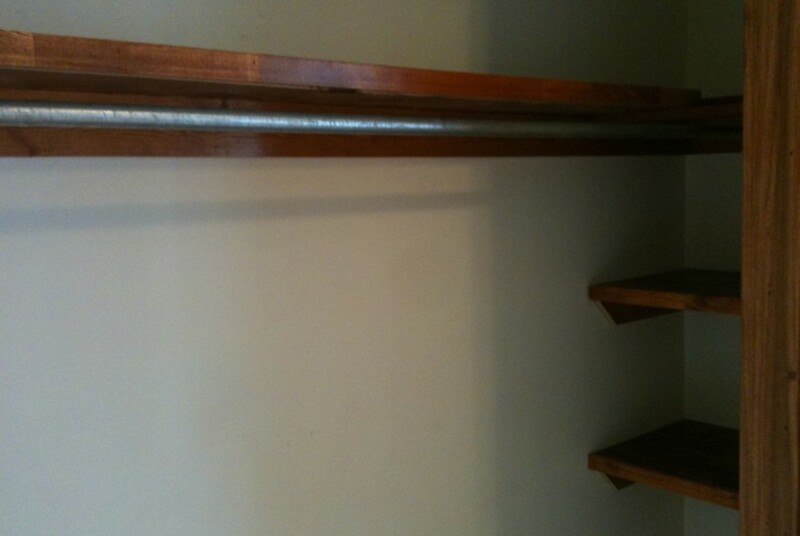 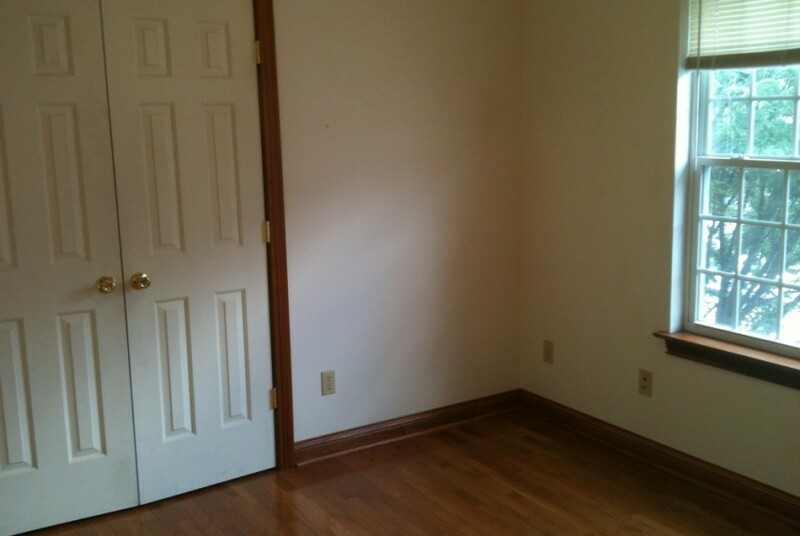 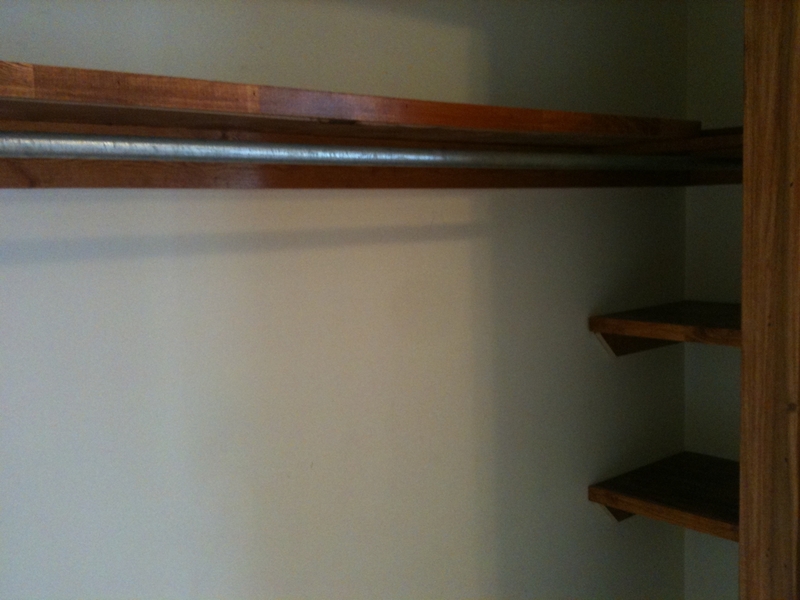 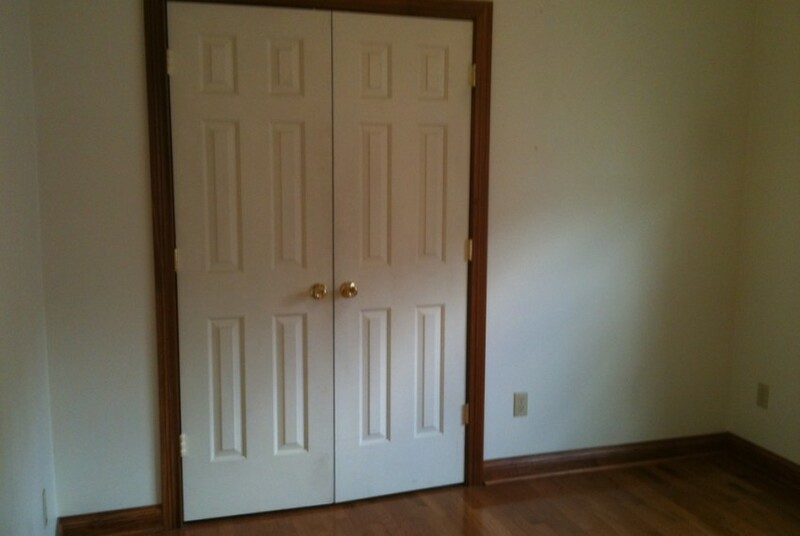 There is a very large closet in the bedroom, a large pantry and a front entry closet for extra storage. 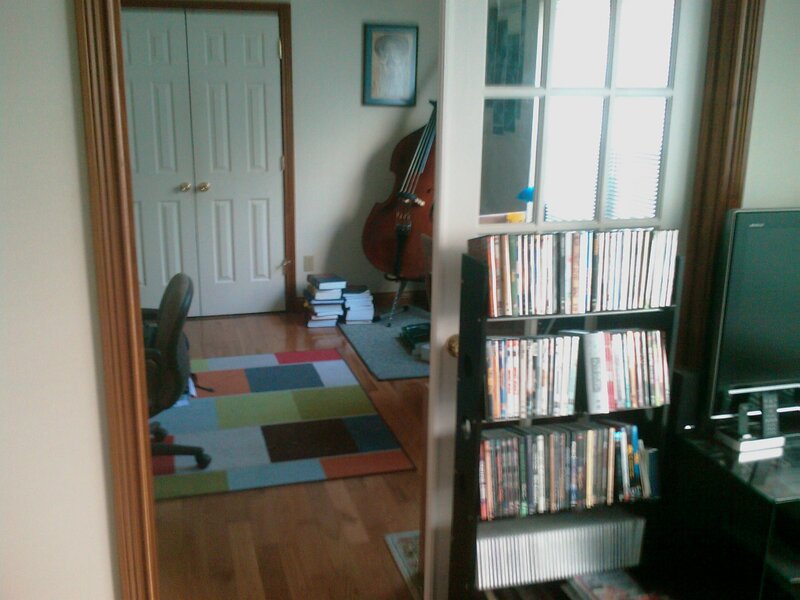 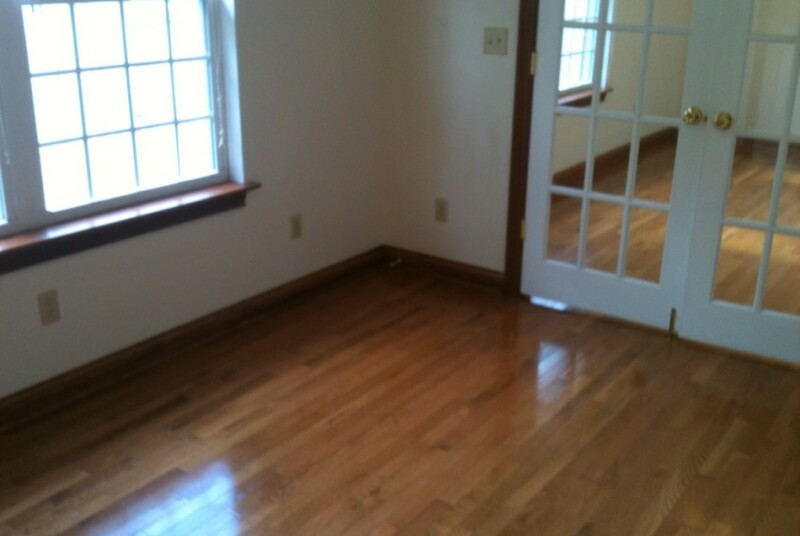 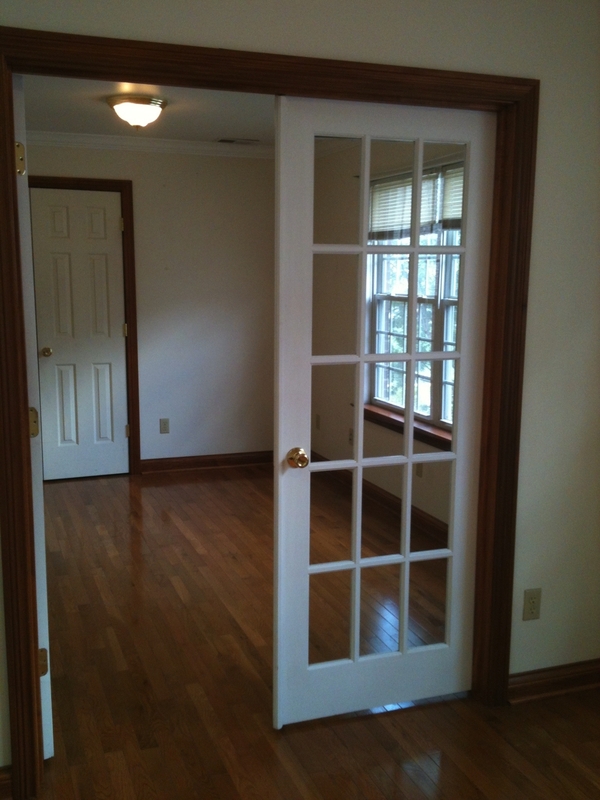 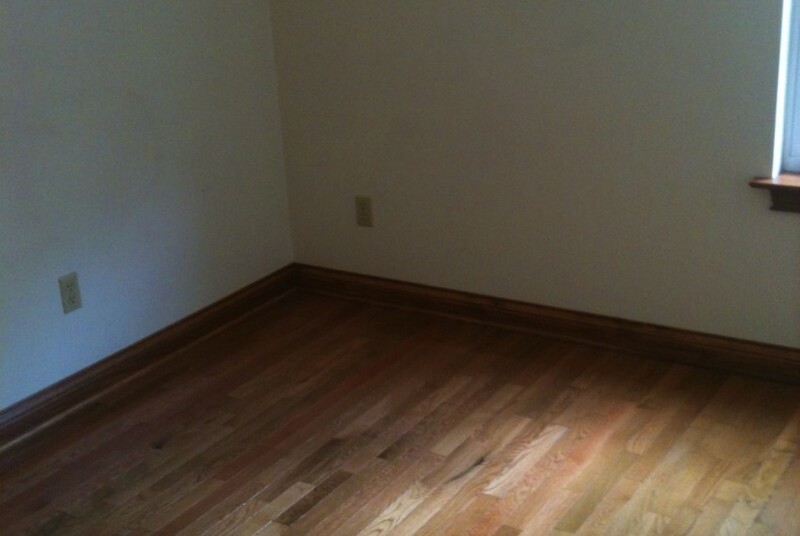 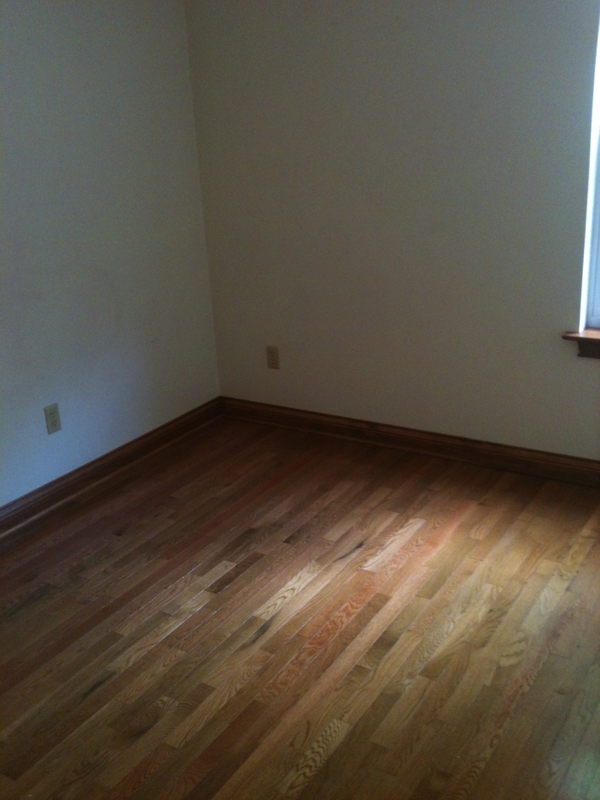 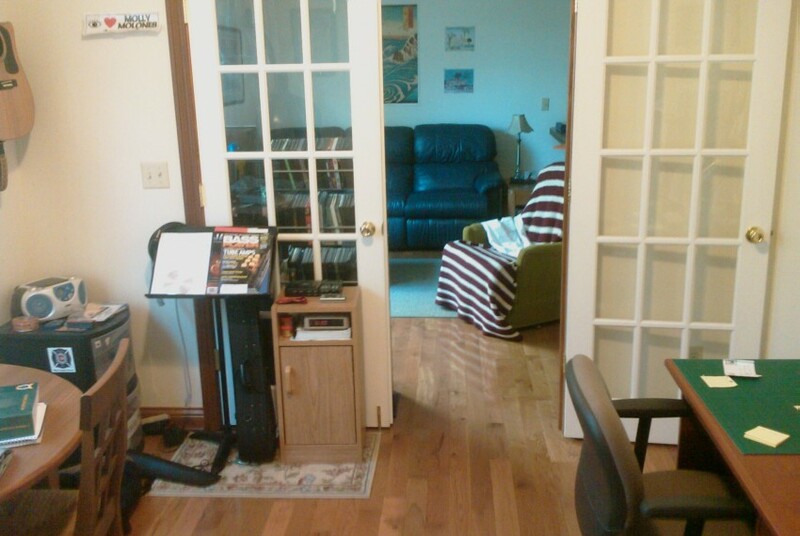 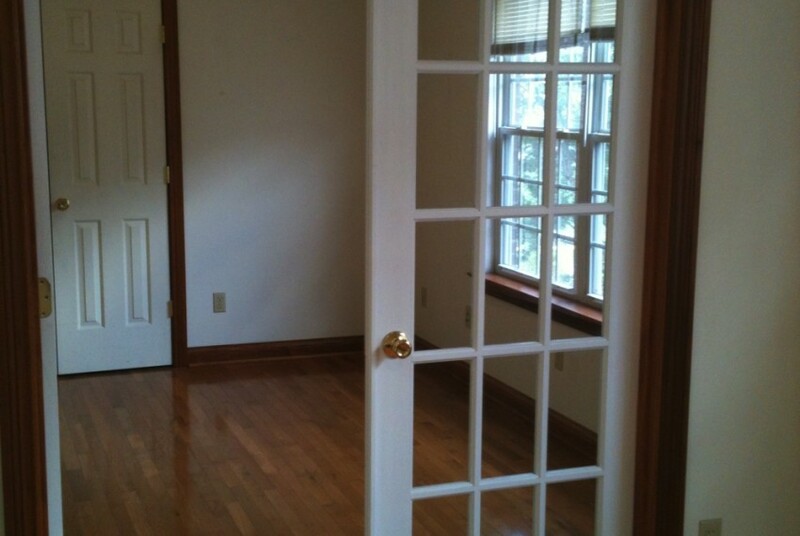 The wood trim is stained clear poplar to accent the floors and create warm tones. 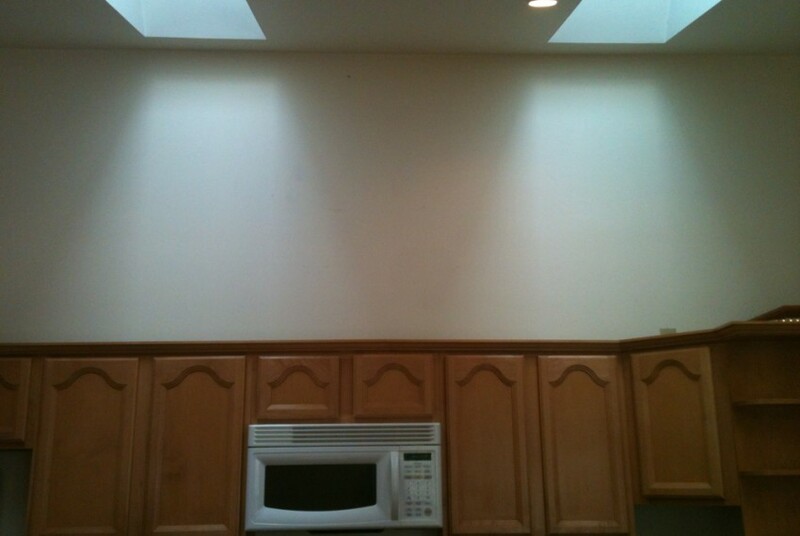 The ceiling has skylights that keep everything nice and bright. 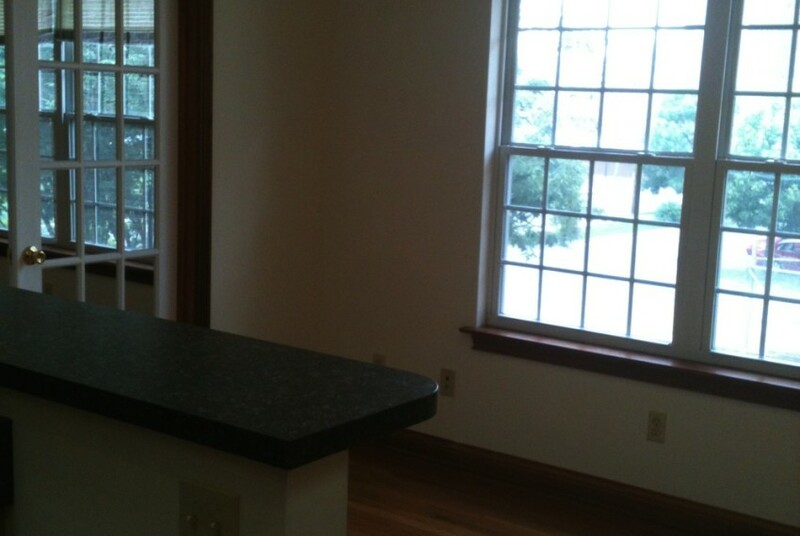 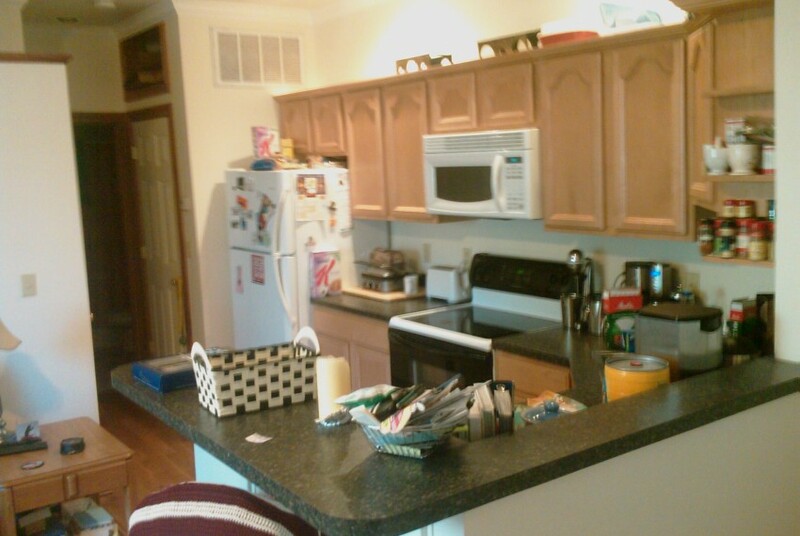 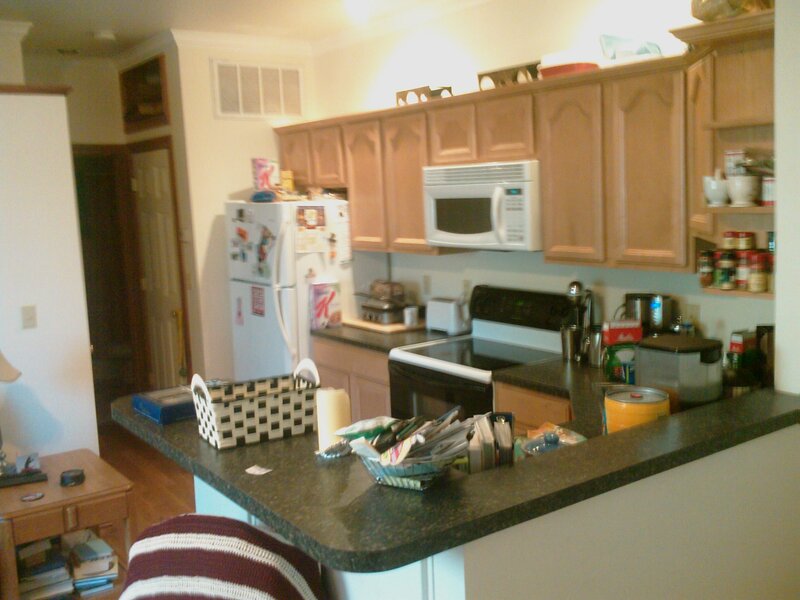 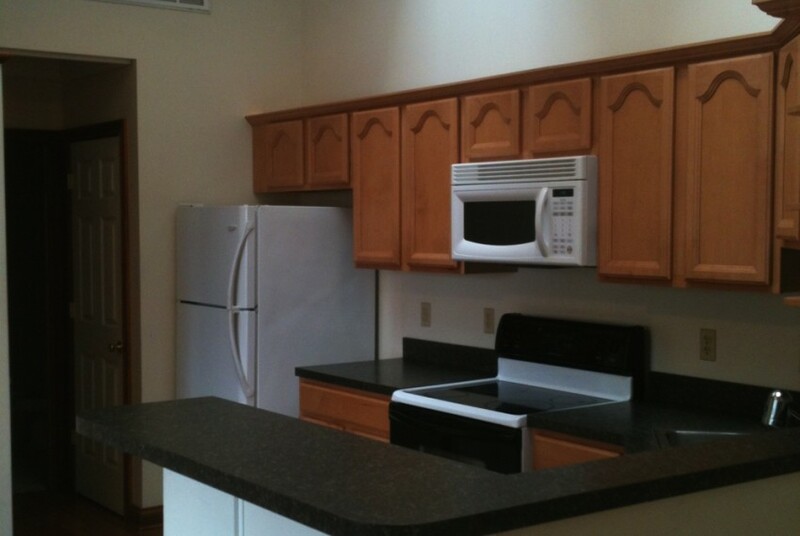 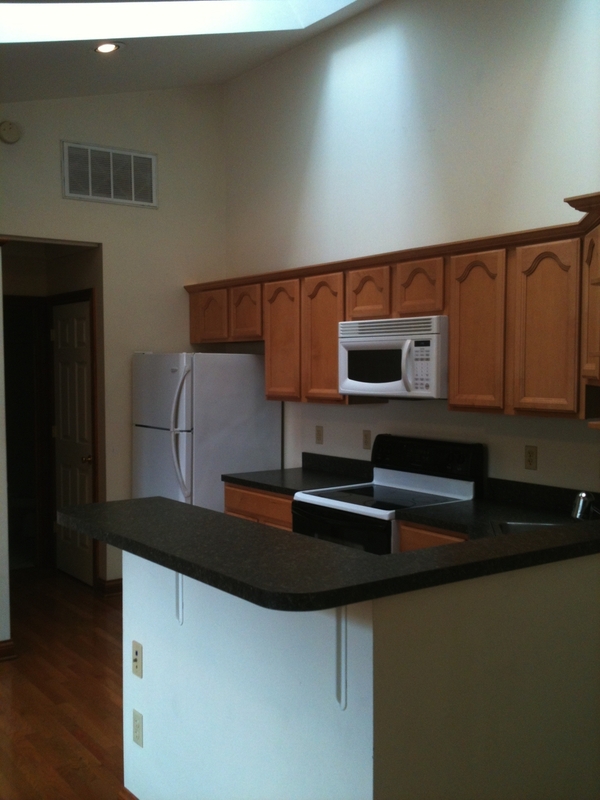 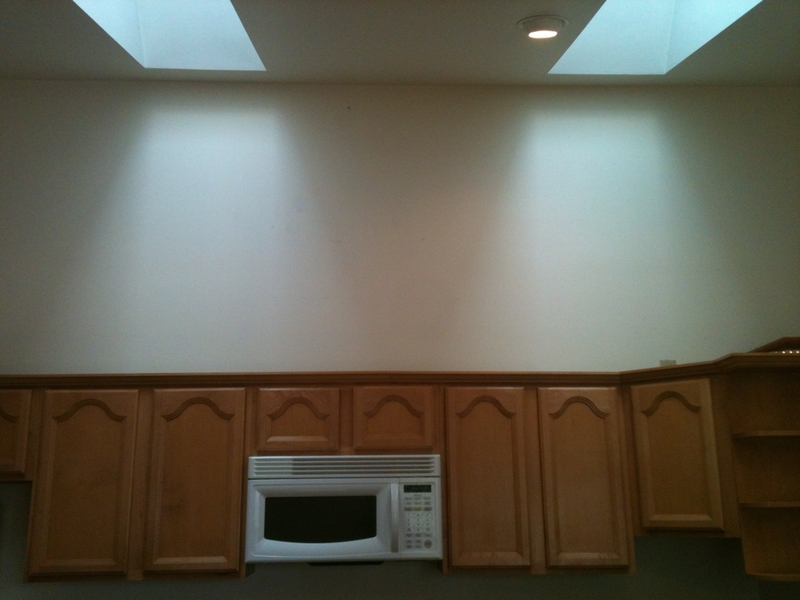 The kitchen has faux granite counter tops, a smooth top range with microwave above. 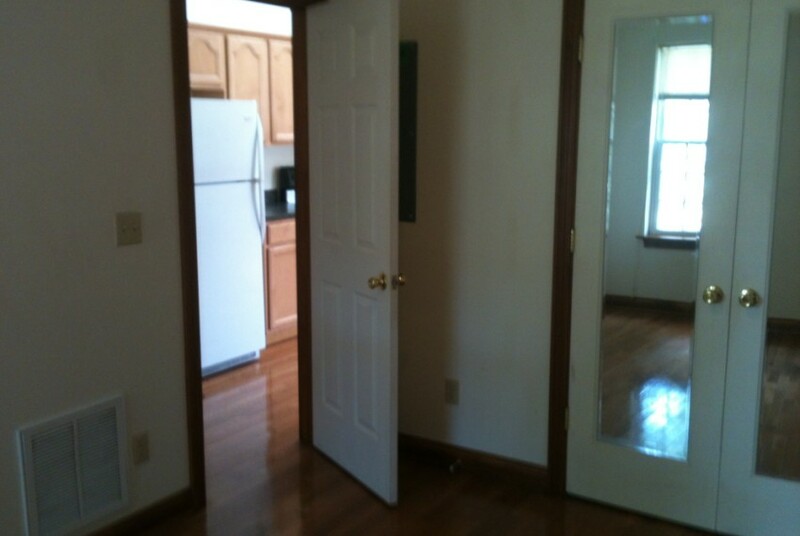 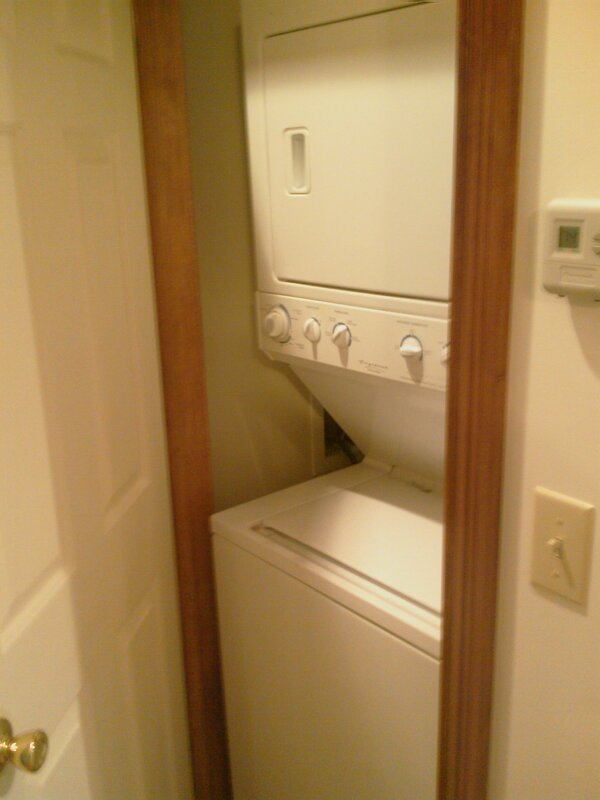 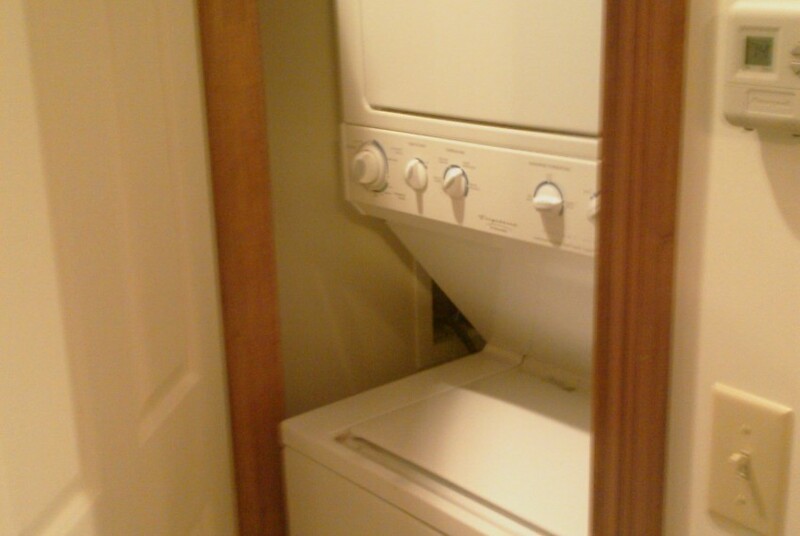 a large refrigerator with glass shelves & ice maker and a dishwasher under the bar. 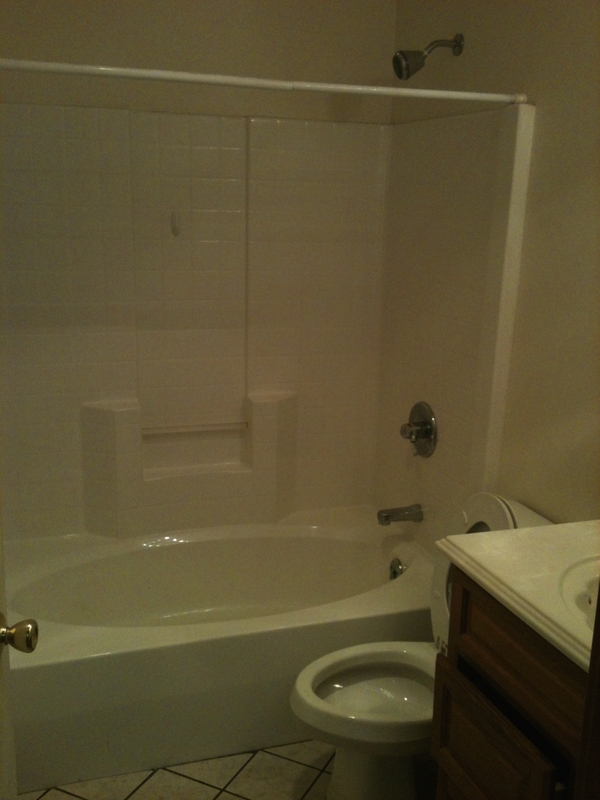 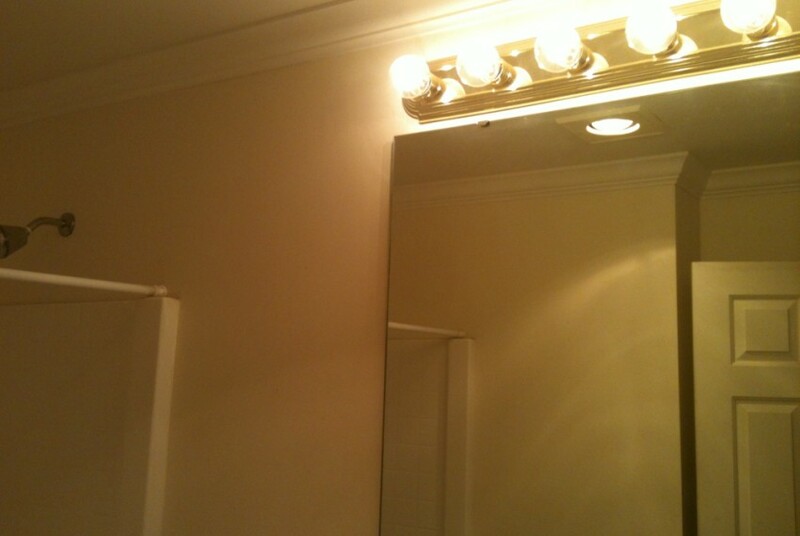 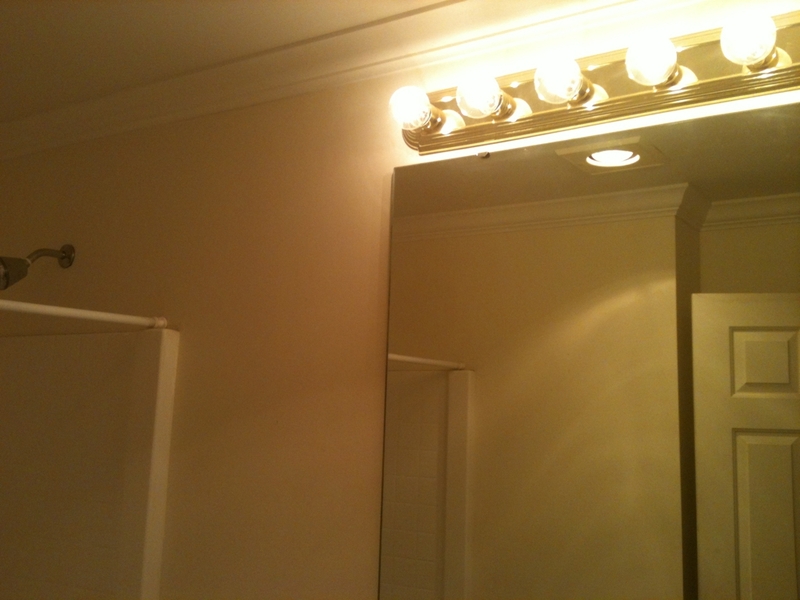 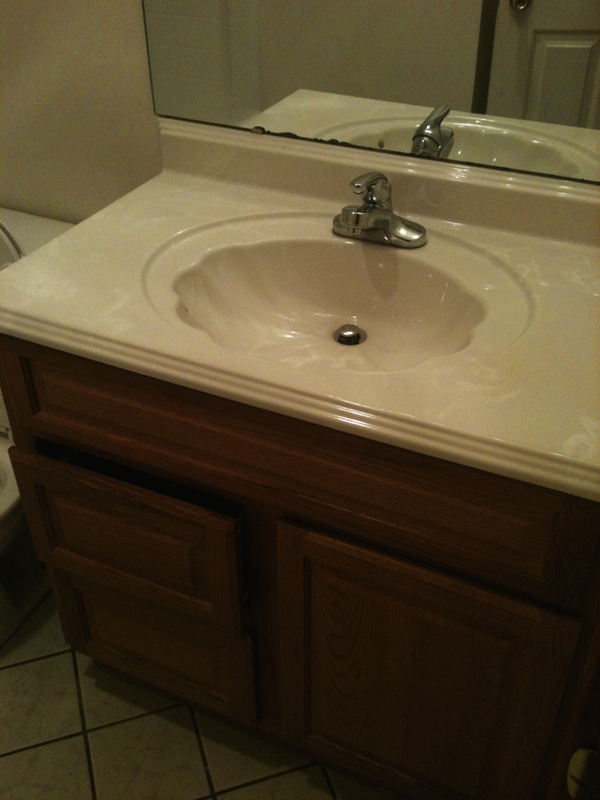 The bathroom has a garden sized soaking bathtub nice vanity with big mirror and a heat lamp installed overhead. 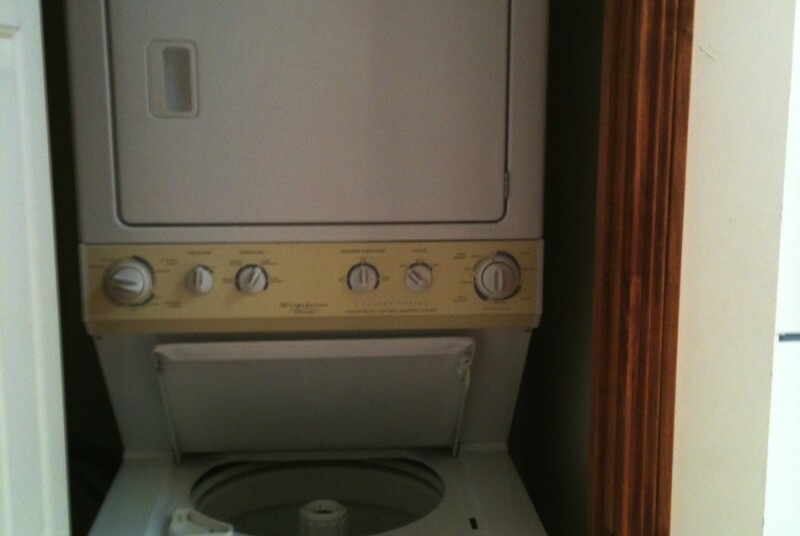 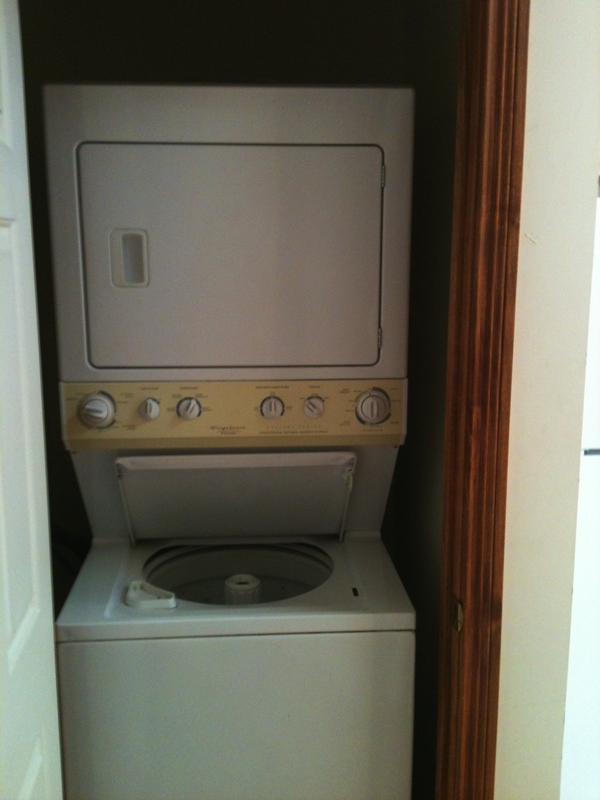 This unit is very well insulated which makes it very energy efficient with low all electric bills. 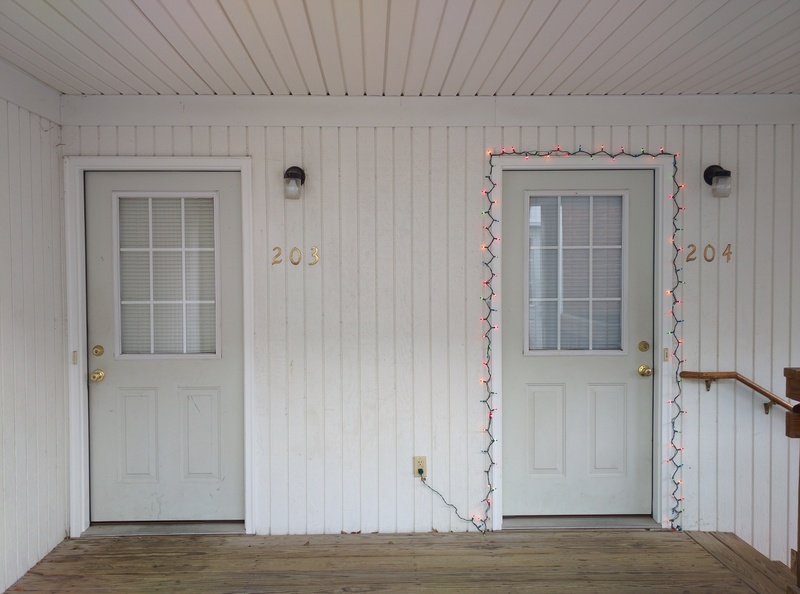 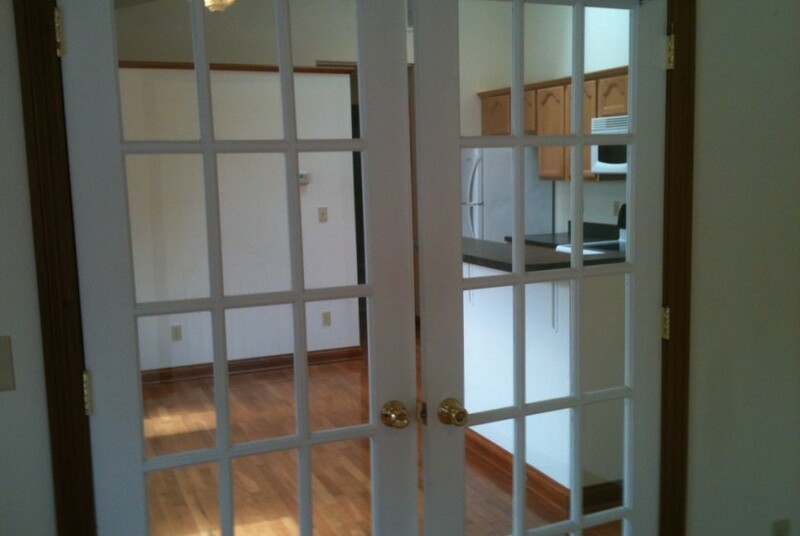 There is a well lighted and fenced in parking lot directly adjacent to the building for convenient access. 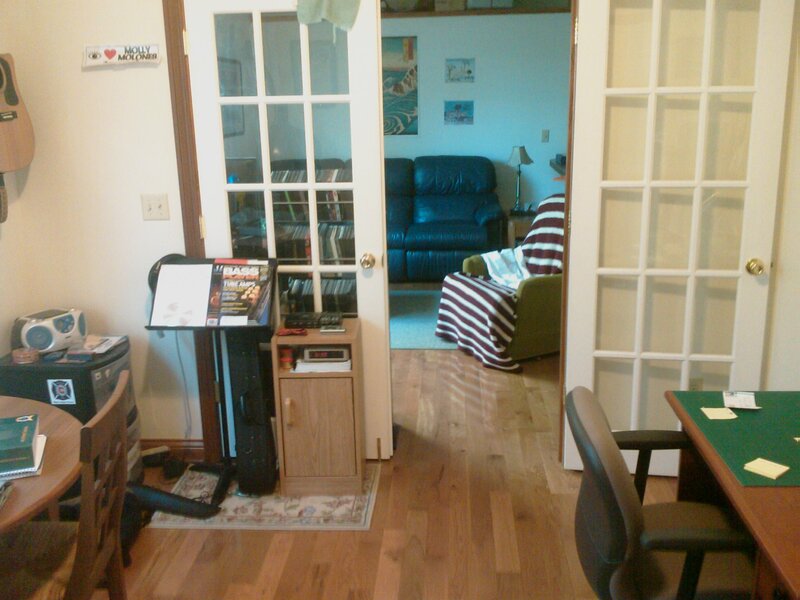 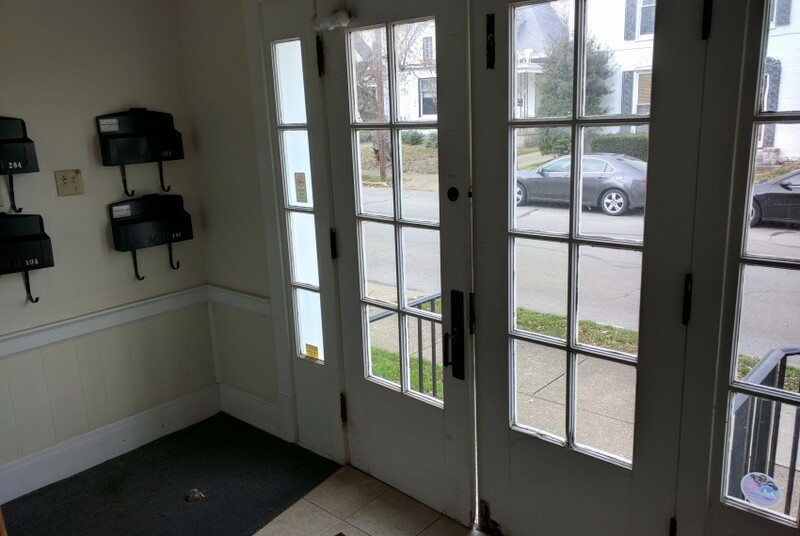 This is a beautiful clean, new unit that is perfect for graduate students or couple who wish to be between downtown and UK. 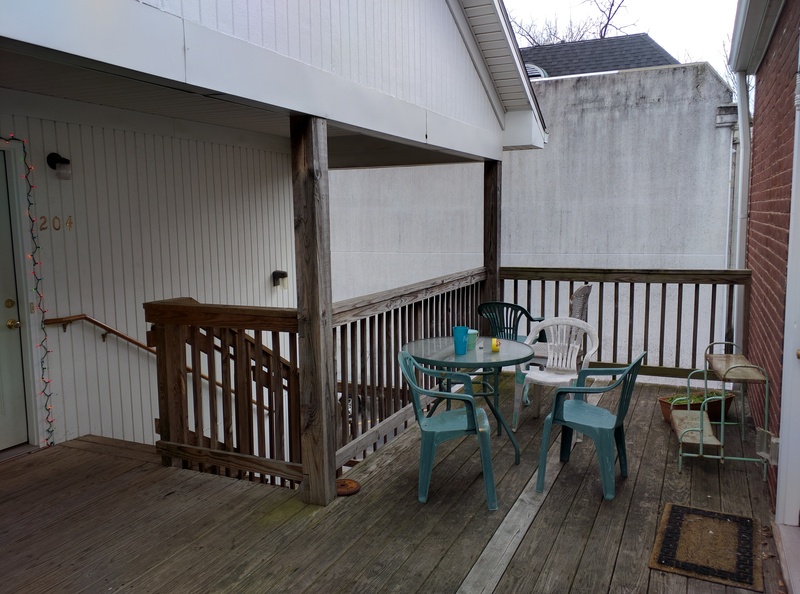 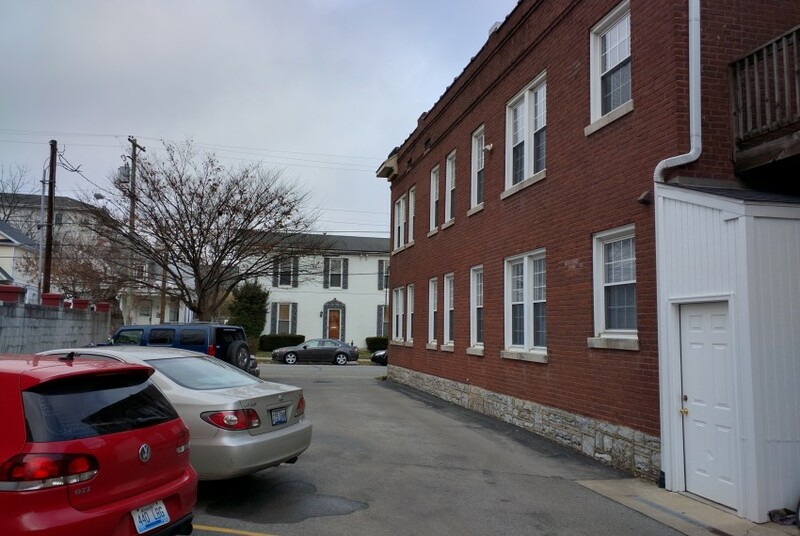 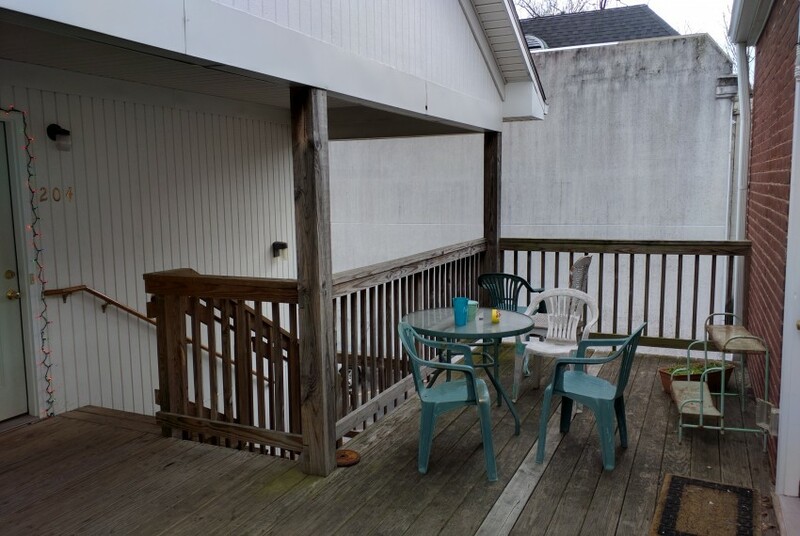 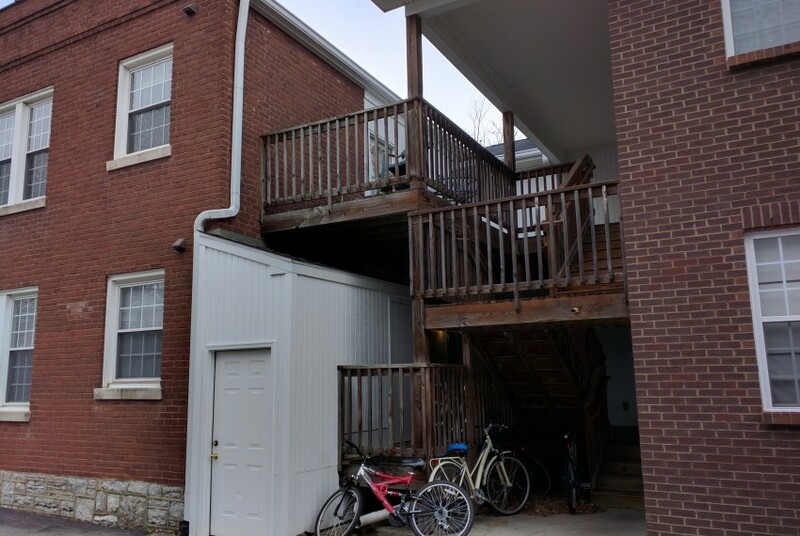 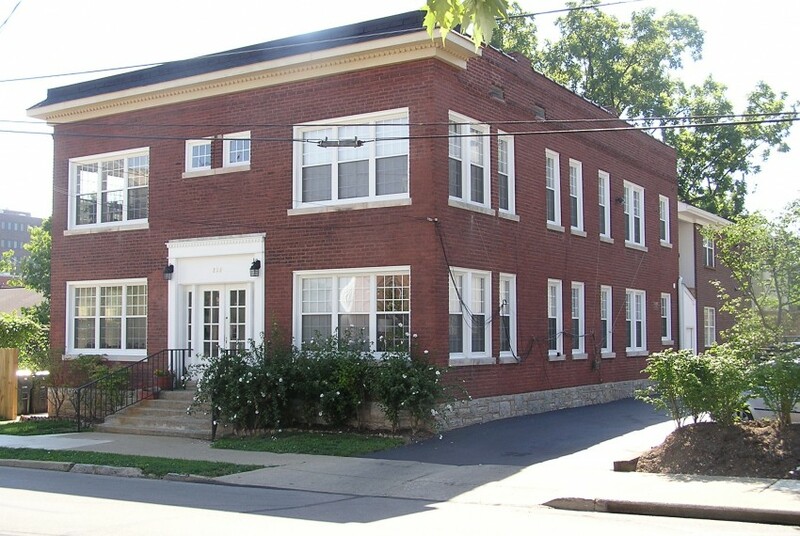 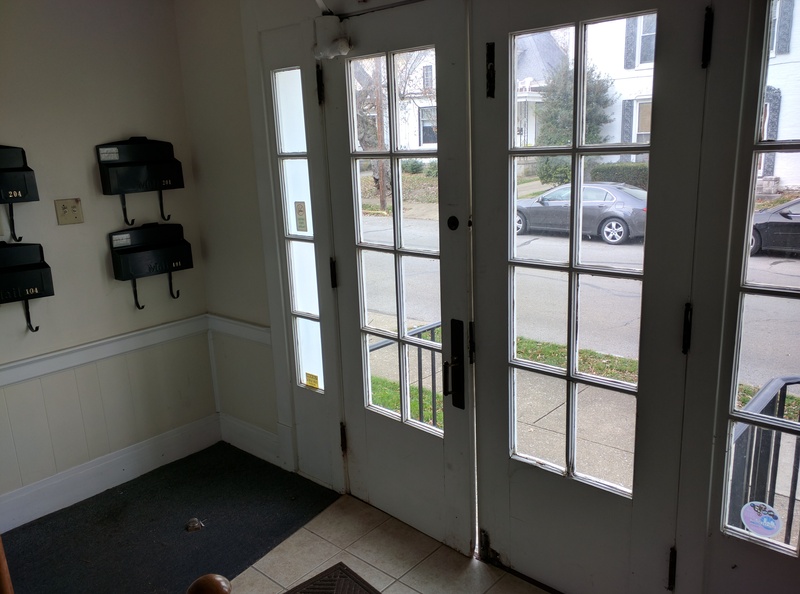 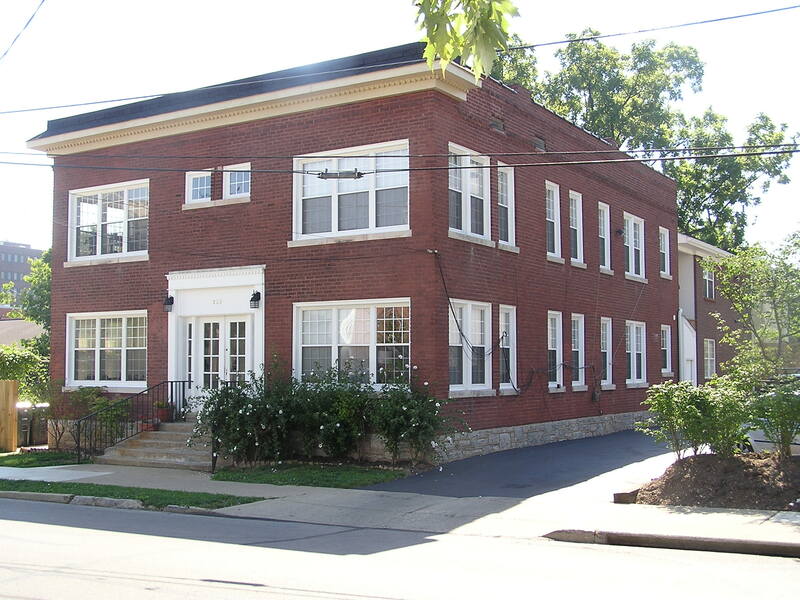 It is just far enough from campus to not be in the middle of things but close enough (2 blocks) to have easy access to classes, downtown, Rupp Area, Civic Center, the main Bus station and the Post Office next door.